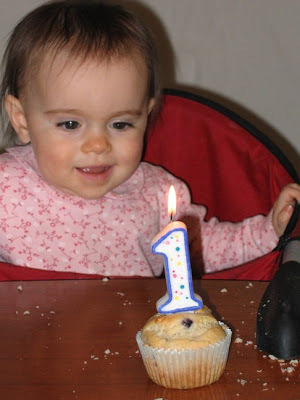 Abigail turned one year old on Monday, January 5. This year has passed so quickly. We had a little family celebration for her. 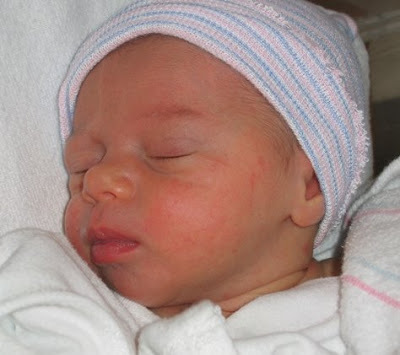 Here is my little girl when she was first born. And here she is today ... one year old. What a precious little girl. :) Those eyes! 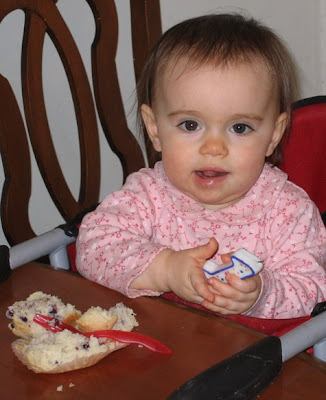 That's a creative idea - giving her a muffin instead of cake. Good way to avoid that sugar rush. Happy birthday to her. She's probably a wonderful girl!